If you love delicious pie, this is a winner.!! Low in carbs and simply delicious. The creamy goodness of peanut butter and ricotta together make this pie to die for. On top of that the almond butter crust gives it just a little crunch to make the pie complete. So these two together make it perfect for any get together. Mix this for 2 minutes then fold in your whipping cream. 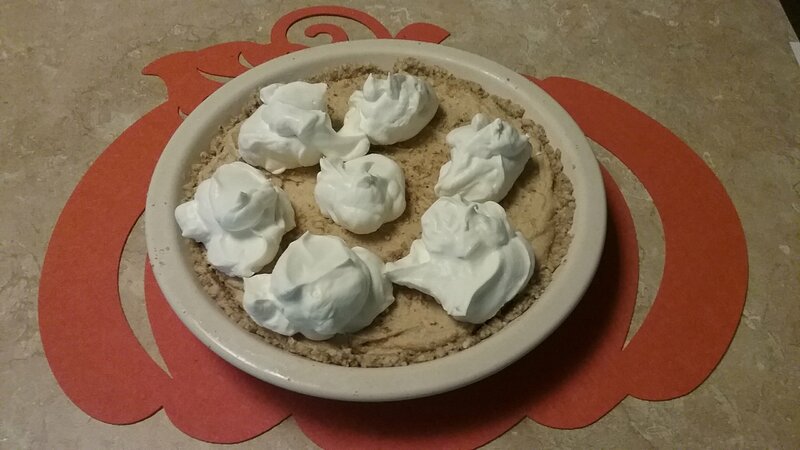 I also make extra whipped cream for on top of the pie to serve.